Begin in the cosmopolitan city of Lima with a guided sightseeing tour, a visit to the Larco Herrera Museum, and a special welcome dinner in an ornate family-owned mansion. Fly to Cusco and descend into the Sacred Valley of the Incas for guided tours of the ceremonial site of Kenko, where ancient rituals were performed, and the Temple of Sacsayhuaman. Of course, no vacation to Peru is complete without visiting astonishing Machu Picchu, built around 1450, and sitting majestically above the Sacred Valley. Stand in awe as you witness one of the most majestic images in South America, if not the entire world! 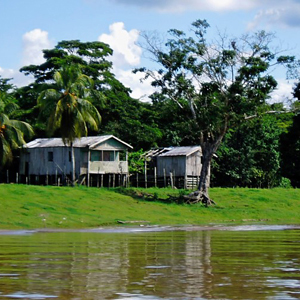 Next, you'll embark on a journey to one of the world's vastly unexplored regions where biodiversity is at its greatest-the mighty Amazon. 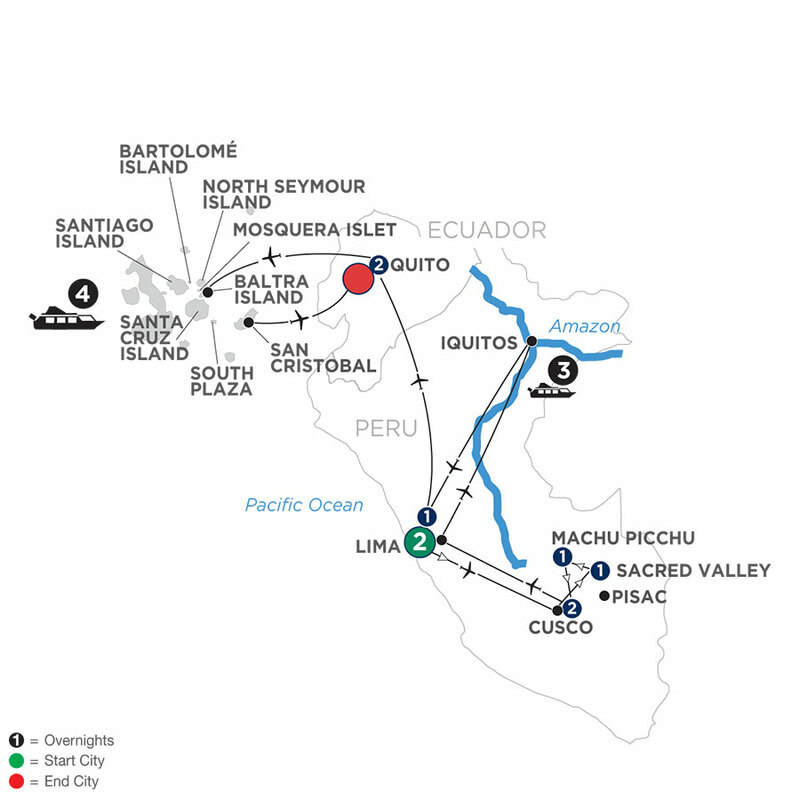 Board one of the world's most luxurious small ships, the Delfin III, and enjoy fine wine, famous Peruvian cuisine, and all-inclusive comfort while venturing deep into the Amazon jungle in search of elusive wildlife. Take naturalist-guided panga rides through the river tributaries, swim with pink dolphins, and visit native communities-all while returning to your plush five-star yacht. Before this cruise adventure is complete, you'll get a chance to explore the beautiful Galápagos Islands onboard the 16-passenger Treasure of Galápagos! Have your camera ready as your Naturalist points out colonies of sea lions, pelicans, albatross, marine iguanas, flamingos, blue-footed boobies, short-eared owls, and other birds. You'll also have a chance to snorkel in the tropical waters and perhaps get a look at sea turtles, sharks, and rays. A perfect ending to this trip of a lifetime!